“FREEZE PILGRIM”Ballot Question MAY 12 TOWN ELECTION-PLYMOUTH We The People of Plymouth, Massachusetts, direct the Plymouth Board of Selectmen to call upon the Nuclear Regulatory Commission to immediately suspend all further action on the application of the Entergy Corporation for renewal of its license to operate the Pilgrim Nuclear Power Station pending the full implementation of all safety improvements recommended by the NRC as a result of lessons learned from the failures of similarly designed reactors in Fukushima, Japan. I watched the debate last night, and it was a frustrating experience because I could not see the debaters or hear them or see their slides. What I saw was an interactive stream with comments from the moderator, tweets from many people (including myself) and a fair number of advertisements for fast-food muffins. Japan: Many of the tweets were from Japan as shown in the screen shot above. Cocktail Party: The NRC gave an informational "cocktail party" before the debate (no booze), but the NRC did not participate in the debate itself. Picture of the party here from the Wicked Local Facebook page. However, the moderator said Entergy and the NRC were invited, Berger notes, but chose not to attend. I think that was an unfair statement. Of course, the NRC could not formally enter into a debate about an on-going license extension, but they were there on an informal basis, and I give them credit! Note: All quotes are from the moderator's notes. I do not know if the quotes are verbatim. Fishing boats: Gundersen: If Tim McVeigh had been in the Finnish boat that wandered close to the plant last year, we would have had a real problem. Gundersen's Samples: Gundersen said he took "samples" in Tokyo that were "troubling." Howard asked him to show the numbers. He didn't, of course. Here's are two Nuclear Energy Institute (NEI) blog posts on the Gundersen claims. NEI asks questions of AP for reporting these claims. NEI find Gundersen's statement baffling. Gundersen knows exact number of cancers that will be caused: Okay. I found this shocking, even though I have certainly seen Gundersen in action before. Gundersen answers a question: When will start to see the cancers? Gundersen: peer reviewed report of TMI lung cancers, within five year of three mile island, ten or 20% increase. -In Fukushima, 1 in 20 young girls exposed to radiation in Fukushima will suffer from cancers related to the event. As many have noted, it is hard to debate people who can just say anything that supports their position, whether it is true or not. On the other hand, I think the world-wide interest in this debate was completely legitimate, and I give credit to both men for taking part. There are very few forums in which both sides appear and are willing to answer questions. I congratulate the township of Plymouth for hosting this debate. And of course, I congratulate Howard for his effective presentation, and his deep and abiding personal honesty. To see the same thing I saw, but faster (you can scroll through it, instead of waiting in real time), go to this Wicked Local (newspaper) webpage. Before the forum, Howard Shaffer asked me to put his slides on the web in pdf format. You can see his slides here. 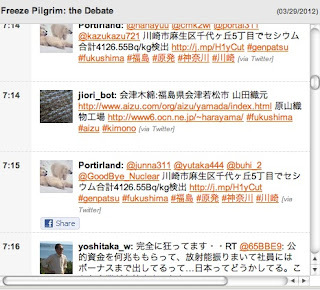 Howard also asked me to put the ANS Fukushima report on the web in a way that is easily accessible. Here's the ANS Fukushima report, and here's the ANS talking point summary. As I understand it, the debate was also on local community access TV. When I get the link to it as an on-demand show, I will update this post. Did the opponent rally work? It undoubtedly encouraged the people at the rally. But I personally think that the whole stilt-walker, masks, funny hats business doesn’t convince anyone who is not convinced already. I don’t think that undecided people, watching on TV, would want to join the opponents’ rally. Today, I decided that pictures speak louder than words. Here's a picture of Patty O'Donnell, Ellen Merkle, and a monk from the Peace Pagoda in New York. A group of monks were on a peace-walk or maybe a peace-shuttle between power plants on the East Coast. (The monks didn't walk their whole route, though they called it a Peace Walk.) O'Donnell and Merkle live in Vernon. As the monk walked toward the plant, they saw a photo-op. Here's a local TV report. The short video includes plant supporter Gwen Shaclumis being interviewed about Entergy. Meanwhile, the opponent rally people call Entergy a "rogue corporation." Who do you believe? Today. my guest post at ANS Nuclear Cafe describes the recent rally at Vermont Yankee: Celebrating at Vermont Yankee: A successful rally on St. Patrick's Day. My post describes the rally, and compares it to the the opponent demonstration that was held a few days later. Our rally was different from their demonstration. We didn't have stilt walkers. In all seriousness, though, if an ordinary working person was watching their event on TV, would that person want to join? Is a man with megaphone saying that Entergy is a "rogue corporation" a convincing soundbite? Is there a pent-up desire for death-mask masks and funny hats? The ANS post also includes new pictures from our St Patrick's Day rally. The picture above includes VY engineer Larry Cummings at the left, Howard Shaffer in the middle, VY engineer Kenyon Webber to the right. Kenyon Webber and Brian O'Callahan, young engineers at Vermont Yankee, interviewed for National Engineer's Week. 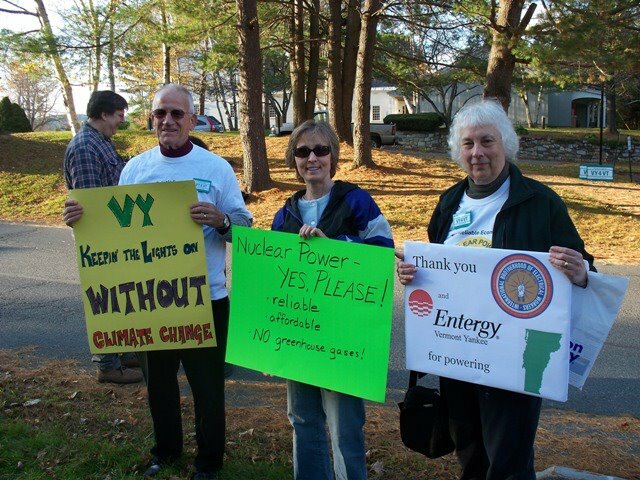 My earlier blog post on the rally Vermont Yankee Rally: Green Power for St. Patrick's Day. My local newspaper, the Valley News, on the opponent's event, including Governor Shumlin's statement in support of their demonstration. Article by John Gregg. Brattleboro Reformer article on our St. Patrick's Day rally. Article by Josh Stilts. Commons (of Windham County) article on our St. Patrick's Day Rally. Article by Randall Holhut. 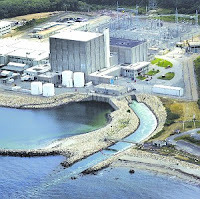 On Thursday March 29 at 7 p.m., the newspaper Wicked Local of Plymouth Massachusetts will sponsor a forum on the relicensing of Pilgrim Nuclear plant. Howard Shaffer and Arnie Gundersen will be the panelists. The event is called the Freeze Pilgrim Forum because Shaffer and Gundersen will be debating: "Should Pilgrim's relicensing be frozen until all the Fukushima event corrections are completed?" This question is a local non-binding ballot initiative. As you might expect, Gundersen will debate in favor of freezing the relicensing and Shaffer for proceeding with relicensing. Please consider participating in our "live" reporting from the March 29th Freeze Pilgrim forum in Plymouth, and informing your members/colleagues and friends about this enhanced coverage. Our reporting will begin 15 minutes prior to the start of the question and answer period, and will continue until the forum's conclusion. This forum is an important prelude to Plymouth's non-binding ballot referendum on re-licensing Pilgrim. The "Cover-It-Live" event will include live updates on the Q&A, polls, mini-resumes, graphics, and the ability for participants to comment as events unfold. Pilgrim Station is a Mark 1 BWR. Like Vermont Yankee, it is owned by Entergy. 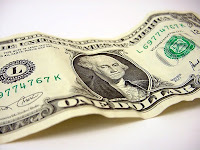 Its forty-year license will expire on June 8, 2012. Pilgrim submitted its renewal application to NRC in January 2006. No other renewal has taken this long to complete. 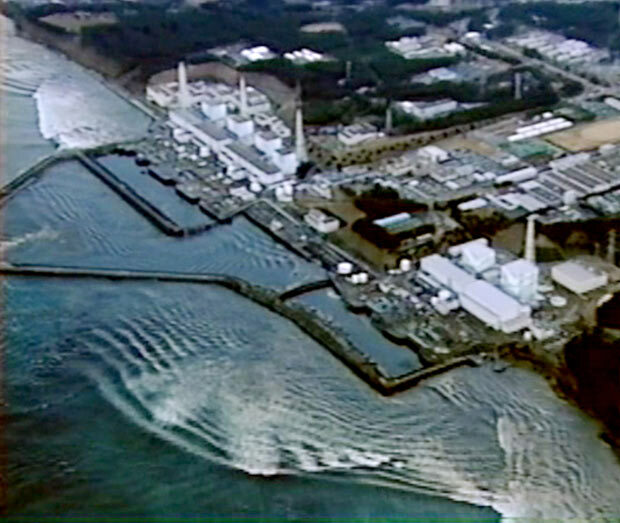 However, the plant can keep operating after June 8, because it applied for NRC renewal in an appropriate time frame, and so can continue to operate on its existing license. According to this article about Pilgrim relicensing in the Patriot Ledger, the major slow-down for relicensing has been a long series of contentions filed by Mary Lampert of Duxbury. She has founded the group Pilgrim Watch to oppose the plant's operation. But when Shaffer’s participation was announced, Gundersen was not happy, and Freeze Plymouth was told he would renege on his commitment to the event because of what were characterized as “personal” attacks by Shaffer on his qualifications. The Old Colony reached Shaffer at his New Hampshire home Friday, and while he admitted to instances where he and/or colleagues had been critical of Gundersen’s qualifications, he said he’s appeared on panels with the Fairewinds engineer before without incident. 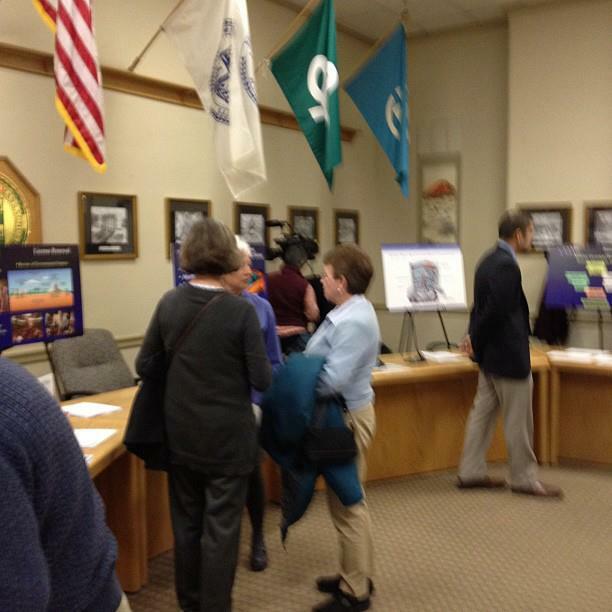 On March 21, another Wicked Local article appeared: Freeze forum 'experts' set. The article starts: Fairewinds Associates Founder Margaret Gundersen has confirmed that her husband, Arnold Gundersen, has accepted an invitation to be one of two “experts” at next week’s Freeze Pilgrim forum – a public prelude to May’s nonbinding referendum on the re-licensing of Plymouth’s 40-year-old nuclear power plant. So I guess the debate is a "go." We can all attend, on-line. If I get more information on attendance, I will update this post. The 97th Carnival of Nuclear Energy is up at Next Big Future. 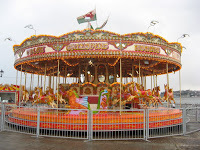 Brian Wang put together a terrific carnival, covering several important subjects. Let's start with a big issue. The Natural Resources Defense Council decided to do an estimate of how many people in Japan would get cancer from Fukushima emissions. They assumed that 2 million people near the reactors just stood outside throughout the whole event. They predicted (high end estimate) an extra 100 cancers in a population that could expect to see 800,000 cases ordinarily. (The words "no statistically noticeable increase" do come to my mind.) The increase is one hundredth of one percent. And that assumes everyone stood outside the whole time. Which brings us to the issues of perception and risk. Dr Robert Hayes describes measurements and concerns with eating and drinking radioactive materials. Steve Skutnik of Neutron Economy discusses a Pew poll on energy issues. ANS Nuclear Cafe describes a successful educational outreach experience at an elementary school. Dan Yurman of Idaho Samizdat and Will Davis of Atomic Power Review discuss the recent problems with the new San Onofre Steam Generators. I used to be a project manager at the Steam Generator Project Office at EPRI. I spent every working day for many years--- thinking about steam generators. I really appreciated these two clear, complete blog descriptions of the problems and the solutions. As usual, the Atomic Power Review post is wonderfully illustrated. Thank you, Dan and Will. And there's more! There's more! New builds, medical isotopes, construction financing, loading fuel at the refurbished Point Lepreau in New Brunswick, and the Russian version of the Small Modular Reactor. Come to the Carnival. Read! Be entertained! Be prepared to answer people claim that the San Onofre problems are the End of the World as We Know It. 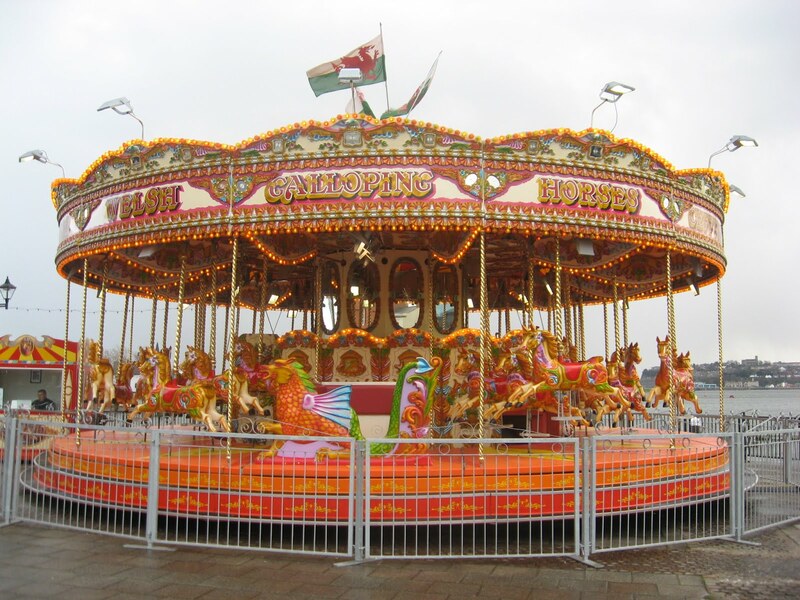 This is an upbeat, fact-filled Carnival, and worth a visit! Steam generator illustration from Mitsubishi Heavy Industries. 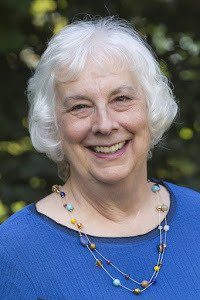 Cheryl Hanna of Vermont Law School spoke on WCAX about the court case about Vermont Yankee. The state of Vermont never had much of a case to start with. I have tried to embed the clip of her interview. If I have not succeeded, here's the link to the three minute video on WCAX. The Vermont Public Service Board (PSB) may need to issue a Certificate of Public Good in order for Vermont Yankee to continue to operate. Meanwhile, in a January 19 ruling about Vermont Yankee, Judge Murtha enjoined "the Legislature" from closing down Vermont Yankee by regulating dry cask storage of spent fuel. You can read the entire ruling here: the last few pages contain the relevant injunction against shutting down the plant by regulating dry cask storage. The Judge showed that "the Legislature" was attempting to regulate nuclear safety issues. These are regulated solely by the Nuclear Regulatory Commission. On March 9, Howard and I attended a PSB hearing. The Public Service Board couldn't figure out how it was going to control dry cask storage if the legislature didn't give it authority to do so. Apparently, the PSB looked at the Judge's ruling and said "Who, me? Surely the Judge didn't mean that we can't regulate dry casks. He's talking about the Legislature, not us." My translation: legislating spent fuel storage is a "pre-empted purpose" and you can't shut the plant down on that basis. In other words: PSB, what part of "no" didn't you understand? I'm a kind of geeky person and I tend to give long-winded explanations. But when I was in the hearing room on March 9, I thought of a soundbite. I even told it to a couple of reporters. They didn't quote it but still, I liked it. The hearing was Friday the 9th and the ruling was Monday the 19th, so my soundbite predicted what the ruling would be. "Whatever they think about it, PSB has no authority to regulate dry casks. No judge will let them regulate it. Radiological safety issues are pre-empted to the federal level. A spent fuel cask is just a concrete cylinder with some ceramic pellets inside. Without radiological concerns, there is nothing to regulate." Okay, okay, it was long for a soundbite, and it didn't deserve to be quoted. Still, I kind of liked it, and I tried to get it out there in the press. A dry cask is a concrete cylinder with some ceramic pellets inside. One gets tired of the "tons of waste on the banks of the Connecticut" descriptions. In my opinion, my own description is just as close to the truth. Maybe closer. Shumlin and the Public Service Board and A Crabby Public Service Board, both on this blog. State Can't Shut Vermont Yankee Over Waste Issue. Dave Gram, Burlington Free Press. On January 19, 2012, Judge Murtha issued his ruling on the Vermont Yankee lawsuit. The decision was mostly in favor of Vermont Yankee. If either side was going to appeal, they had thirty days to do so. 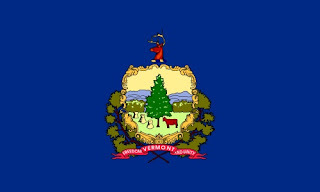 On Saturday, February 18, Vermont Attorney General Sorrell announced he would appeal the decision to the Circuit Court. Sorrell said that he waited until the last minute to file his appeal because he thought Entergy might also choose to appeal. This was an interesting outcome for a court case: a ruling that both sides might well decide to appeal! As a matter of fact, Monday evening February 27, Entergy asked Judge Murtha to grant an injunction barring Vermont from enforcing laws against storing spent fuel rods at the plant. Many have described this action as an appeal by Entergy. Both sides of the case have now appealed the ruling, though the appeals took place in different ways. Most of Judge Murtha’s ruling was clearly in Entergy’s favor, and invalidated the legislature’s many attempts to shut down Vermont Yankee. Entergy still needed a Certificate of Public Good from the state, however. During the lawsuit, Entergy said it did not want to apply for a Certificate of Public Good from the Public Service Board (PSB). Entergy claimed that the PSB docket had been tainted by the ongoing controversy and legislative involvement. However, the Judge’s ruling required Entergy to go before the PSB for a Certificate. At that point, right after the judge's ruling, Entergy either had to go before the PSB for a Certificate or appeal the ruling to the Circuit Court. Entergy chose to go before the PSB. Meanwhile, the Vermont AG chose to appeal the ruling to the Circuit Court. The first step in the Public Service Board hearing was a “status hearing” on March 9, 2012 in Montpelier. Update: My blog about attending this hearing is A Crabby Public Service Board. Howard's Shaffer's blog on the subjects of the hearing is Back to Square One or Before. On February 22, the PSB prepared a series of questions for Entergy. One of the questions asked Entergy how it would comply with a state requirement to limit the total amount of spent fuel at Vermont Yankee to the amount generated by March 21, 2012. However, Murtha’s ruling was based on the fact that radiological safety is regulated only by the federal government, not by the state. On this basis, Entergy appealed to Judge Murtha for an injunction against the state forbidding spent fuel storage. • Entergy’s appeal to Judge Murtha for an injunction to forbid the state to limit spent fuel storage. In fall of 2009, the PSB was ready to issue its findings on the Vermont Yankee Certificate of Public Good. However, it was forbidden to do so by the legislature, according to Act 160. Judge Murtha’s decision invalidated the ability of the legislature to prevent the PSB from releasing its findings. Now, the Certificate question is once more in front of the PSB. Of course, it has gotten more complicated. What Docket? New Hearings? Entergy asked the PSB to issue the Certificate findings they assessed in 2009, without further hearings on the docket. Plant opponents asked the PSB to re-open the hearings to new testimony. What Docket? New Hearings? Phase Two: The PSB asked Entergy if the original docket was so tainted (as claimed in the court case) that the PSB needed to open a new docket. Spent Fuel. The PSB has asked Entergy what it plans to do with the spent fuel that will be created by operation after March 21. Spent fuel storage past March 21 was not in the original memorandum. Spent Fuel Phase 2: Entergy has asked for an injunction to prevent the state from refusing to let them store spent fuel. If the state refused to let Vermont Yankee store spent fuel, the state would de facto shut down the plant for radiological reasons. Timing: By law, an existing certificate of public good does not expire while PSB hearings are still on-going. However, the PSB’s recent questions to Entergy imply that the PSB thinks that the Entergy certificate might end on March 21, despite the Board not having ruled on it. Kevin Ellis is a top executive with KSE Partners, a lobbying and communications firm in Montpelier. In an article by John Gregg of the Valley News, Ellis said that Shumlin could prevent Entergy from emerging with a clear win from the Public Service Board. As Ellis said: “I would never bet against the governor on this. He brings the apparatus to bear … way down into the backrooms of politics, where Peter Shumlin is at his best.” That is a frightening thought about the PSB process in this state. The PSB is supposed to be a quasi-judicial, non-political body. However, Ellis said aloud what many people think privately. This may be part of the reason there are three separate court actions pending now. Update: Shumlin said it aloud, also. In an interview with the VPR, Shumlin said: "Judge Murtha has issued a decision that clearly gives them the authority to continue to operate pending a decision by the Public Service Board. I have a lot of confidence in the Public Service Board. We're going to be working together with them, my department to try and get a better outcome than what Judge Murtha gave us." All three court cases are related and interlocking. For example, the AGs appeal could backfire on Vermont. The federal appeals judge could remove the decision-making power from the PSB, especially if the PSB was regulating on the basis of radiological safety. If the state attempts to determine what amount of spent fuel can be stored on-site, that would almost certainly be seen as regulating on radiological safety. Hanna said she’s not taking sides on whether the state should or shouldn’t appeal, but she warned that the odds are against the state. Among the risks in appealing, she said, are that the appeals court could go farther than Murtha’s decision and decide that even the Public Service Board doesn’t have a say in Vermont Yankee’s future. Though Entergy had argued against it, Murtha left the case in the Public Service Board’s hands. It is hard to say what will happen with the federal appeal, but it doesn’t look good for the Vermont AGs case. As Yogi Berra said: It’s tough to make predictions, especially about the future. Murtha Decision and the Vermont appeals document can both be downloaded from links within this excellent article from Vermont Digger. This article originally appeared in True North Reports and has been somewhat updated. I scheduled this post for today because there is supposed to be a PSB hearing today. This post is more "background" than "breaking news." The 96th Carnival of Nuclear Energy Bloggers is up at ANS Nuclear Cafe. 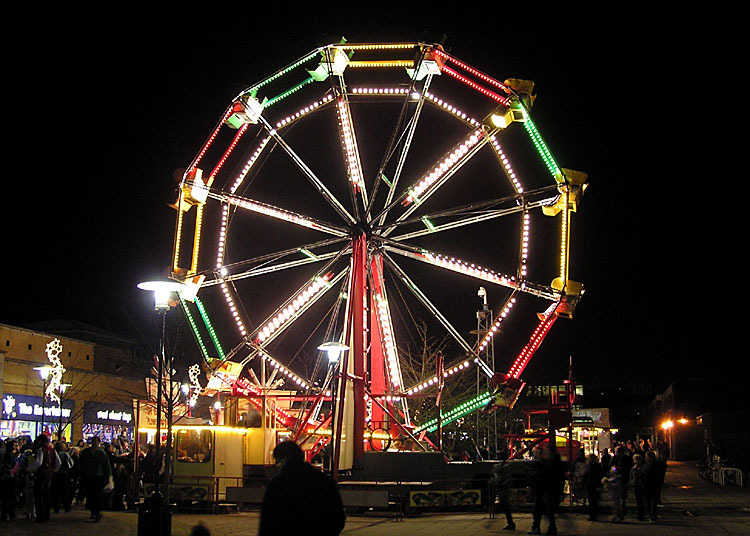 The Carnival includes posts about Fukuhima, Vermont Yankee, attitudes toward nuclear energy, and more. Worth reading! I also recommend Howard Shaffer's excellent article about the Vermont Yankee issues in front of the Public Service Board, which is posted at ANS Nuclear Cafe. And I recommend my own op-ed at Burlington Free Press, about Vermont Yankee and safety. I am on vacation this week, and will be posting irregularly, if at all. Have a fun week! I plan to!! The RALLY for Vermont Yankee is this Saturday 5:00-6:30, March 17, at the plant. The rally is shaping up nicely! We are going to have a great time, as we did in September and October. In October we finished in twilight and went home in the dark. Now we will be finishing in daylight! The weather will be spring-like. That's New England spring. The forecast is for high 40's and 20% chance of showers. If it rains, we can duck inside the Governor Hunt house, as we were also allowed to do in October. There will be snacks as in October. 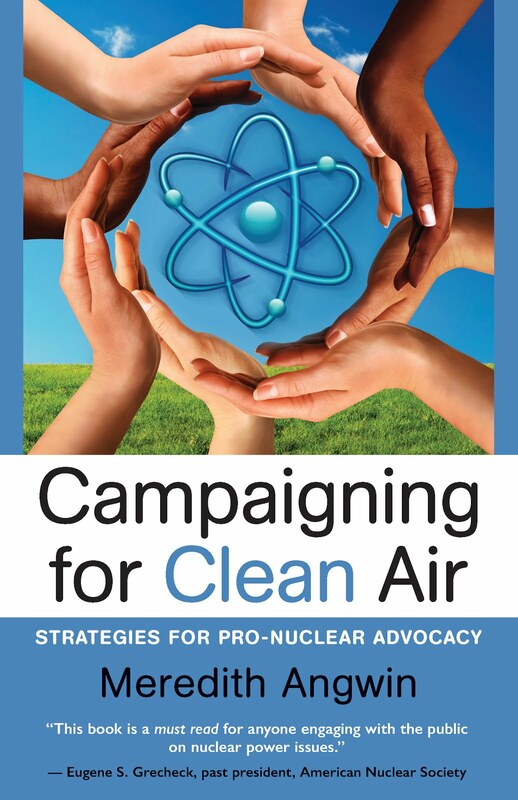 We will have some fact-filled handouts, to help you write letters to the editor or speak to your friends about nuclear power. Dress for the weather, and don't forget thick-soled shoes. Standing on grass in thin shoes can make your feet cold. Please wear something for St Patrick's Day! We will supply some items for the day's theme. We will have some signs, but feel to make your own signs. They give the rally a personal touch. See the "Save Vermont Yankee" Facebook page for photos of signs at earlier rallies. Green Power for the Green Day- and Every Day. TWENTY MORE SAFE, CLEAN YEARS!! This Rally is planned by the Vermont Pilot Project of the American Nuclear Society: this project is headed by Howard Shaffer. Also by the Energy Education Project of the Ethan Allen Institute: this project is headed by Meredith Angwin. Windham County, Vermont, is home to Vermont Yankee. A recent Task Force from that area issued a report on what will happen (and what should be done) when Vermont Yankee closes. The Task Force was formed by the Southeast Vermont Economic Development Strategy Planning Group. Task force members included businessmen, anti-nuclear activists, and people who serve on various commissions. I have not been able to find a website for the parent organization. (With a name that long, they should have no trouble getting a unique URL.) If anyone can find a web site for them, please let me know. According to an article in The Commons, "the task force invited representatives from VY and the town of Vernon, where the plant is located, to participate. Both politely declined." The town of Vernon refused to participate in this task force, but the Safe and Green campaign did participate. Very interesting. This could be a comment on how this supposedly bi-partisan task force was perceived, or it could be chance. A short Vermont Tiger story ("Hard Times") about the task force gave me the idea for the illustration. You can read the task force report here. approximately 1000 jobs would be lost in the region and millions of dollars of tax revenues will be lost. a decline in quality health care. When hundreds of families with high-quality health insurance leave a small area, you can expect doctors to leave also. a decline in quality of life, from the loss of educated and active people, many of whom are community-minded and spend time volunteering. There should be regional marketing efforts designed to attract young retirees and career changers to the area. Well, now we know the plan. 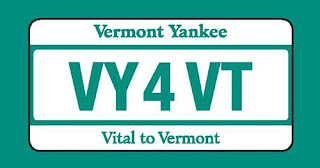 Howard Shaffer has an excellent blog post at the ANS Nuclear Cafe:Back to the Vermont Public Service Board: Square One or Before! With all due respect to the various newspaper reporters, Shaffer does a better job of describing the three major issues in front of the Public Service Board. These issues are: when does the certificate run out, the effect of the federal court ruling on the Public Service Board, and spent fuel storage. Worth reading! On March 17 (this Saturday) we will be holding a rally at Vermont Yankee at 5 p.m. (shift change). I will blog about this tomorrow, and probably leave that blog in place through Saturday. If you live in the area and support the plant, I hope you can come! My earlier post about the rally is here. 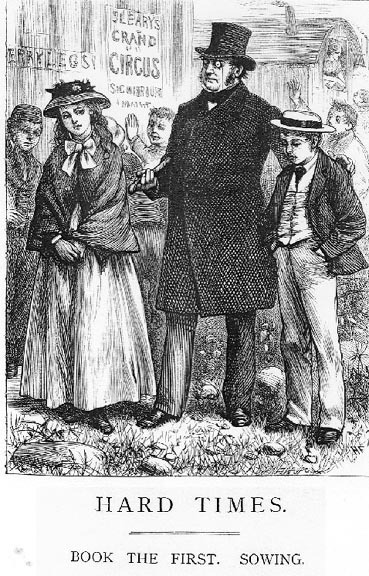 Illustration from Dickens novel Hard Times. The pie illustration seemed to be various places on the web. "For about 60 years, we've been subjected to a seemingly endless Republican advocacy in favor of "states rights. "....a decision to run the aged Vermont Yankee reactor above its rated capacity for another 20 years could be seen as indifference to events (such as Fukushima)...The legalistic arguments seem to have carried the day to date (as far as we can see, the Vermont state government is being dismissed for being concerned about the well-being of its citizens)...Where are the states righters when something as concrete as this is at stake?" Many anti-nuclear protesters carry Vermont flags to the protests. (They wrap themselves in the flag?) They claim to stand for Vermont though they often live in Massachusetts. As I noted in an earlier blog post, states rights is no longer a dirty word to some people in Vermont. Here is my letter that was was published in the Valley News on March 9. A recent letter from David and Shirley Montgomery inquires why Vermont Yankee is regulated at the Federal level. The letter-writers would prefer state control. 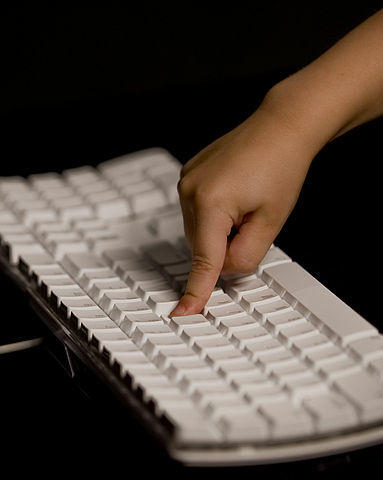 Some complex technologies are regulated at the federal level by federal law. Airplanes (inspection, pilot licenses, mechanics licenses) are regulated by the Federal Aviation Administration. New drugs are approved by the Food and Drug Administration. Nuclear plant safety and inspections are in the charge of the Nuclear Regulatory Commission. Determining the safety of airplanes, drugs and nuclear plants takes significant specialized expertise. Also, it is best that important safety rules be applied on a nation-wide basis, not just locally. However, these laws can be changed through our democratic process. If Mr. and Mrs. Montgomery want individual states to test drugs, inspect airplanes, or inspect nuclear plants, the federal laws can be changed. However, the probable result will be a race to the bottom. The states with the least oversight will get the most business. Drug approval and aircraft maintenance would move to "friendly" states, and nuclear regulation could vary widely between states. This type of differentiation already happens in other areas. For example, Delaware's laws are welcoming toward corporations, and many American companies are incorporated there. Poorly-maintained ships fly the Liberian flag (flag of convenience). In general, small governmental units are not well equipped to regulate complex subjects. The current system of federal regulation is better and safer. State regulation would be a change for the worse. Perhaps an aside, but I wanted to say this. The writers also claimed that "for sixty years, we've been subjected to a seemingly endless Republican advocacy in favor of 'state's rights'.." This is not correct. The state's rights segregationist movement was run by Democrats, not Republicans. The infamous State's Rights governors Orville Faubus and George Wallace ran and served as Democrats. Endnote: After the letter was published, I received a note from a friend that Delaware is not mainly a pushover for corporations. Delaware's main attraction is that it set up an effective chancery court for civil lawsuits that involve companies in different states and different countries. I live and learn! Podcast: Yesterday, I was proud take part in this Atomic Show Podcast A Year After Fukushima. Rod Adams, Steve Aplin, Suzy Hobbs, Gwyneth Cravens and I talked about the accident, the coverage of the accident, and the implications for nuclear power. It was great to be on a program with such knowledgeable people! The 95th Carnival of Nuclear Energy Bloggers is up at Atomic Power Review. Its title is Fukushima, One Year Later. Before discussing the Carnival, let me start by reminding people that I have an op-ed, Vermont Yankee is Not Fukushima, which ran in the Keene Sentinel yesterday. I don't want anyone to say I ignored the anniversary and "just ran the Carnival again." Putting first things first, Davis puts most important link right up top: his web page of links to major Fukushima accident reports, from all over the world. Let me recommend the ANS Committee Report on Fukushima, issued last week. It's one of the best. The report is clear, readable, and very helpful to anyone trying to understand the Fukushima accident. As usual, Davis also leads off the Carnival with a mystery picture from his files. "What is this?" I didn't guess this one, but I had a clue. I almost-guessed. Davis must be making the pictures easier! Much of the Carnival is about Fukushima, of course. Dr. Gail Marcus, who spent part of her career in Japan, has two posts: Fukushima, One Year and Post-Fukushima US activities. Both are worth reading, from the international and American perspectives. At ANS Nuclear Cafe, Les Corrice supplies a scorecard, rating the various Japanese investigative commissions. Also at ANS Nuclear Cafe, Rod Adams asks how we can fight the fear-uncertainty-and-doubt spreaders about Fukushima, and spread some facts. 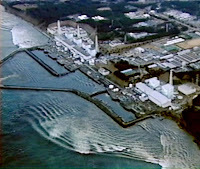 At his own blog, Atomic Insights, Rod Adams, shreds the "least informed piece on Fukushima to date." My question: how did Adams pick the least-informed piece? There's so much competition for that title! As Dan Yurman writes, natural gas may be outpacing nuclear in this country. That is not happening world-wide, though. Brian Wang at Next Big Future describes that the United Arab Emirates are expanding their nuclear build, and China is expected to join them soon. Brian Wang also posts about the planned U.S. build of a Hyperion reactor at the DOE Savannah River site. This rarely makes the main stream media news, so it's great that we have Wang to write about it. Come to the Carnival. Read the nuclear news from knowledgeable people! A feast for the intellect. Because of Davis's graphics library, this week's carnival is also a feast for the eyes. One Day In Vernon from Kari Post on Vimeo. I have a "Google Alert" set for Vermont Yankee, and the alert usually generates the types of links that I might expect. There are always links to local newspaper articles, links to plant opponent sites, links to my own blog posts. That sort of thing. Today, to my surprise, the alert also linked to this photo-essay about Vernon, Vermont, the home of Vermont Yankee. The collaborative multi-media project was led by Kari Post, a photographer (mostly a nature photographer) who has written a book about photographing waterfalls. The photographs are beautiful, and the presentation clearly aims at lowering barriers and increasing kindness. I think it is worth watching. Tomorrow is the anniversary of the massive earthquake and tsunami in Japan. Vermont Yankee opponents are planning all sorts of vigils and so forth. However, Vermont Yankee is not Fukushima. Since other local papers may also print this, I have decided not to put the op-ed directly on this blog for a few days. But you can read it in the Sentinel. "My first impression when reading the PSB questions was simple: Did one of the anti-nuclear groups write this memo? The questions didn't look like inquiries from an impartial board." This morning, at the meeting in Montpelier, and the PSB asked all these questions but without promising any type of resolution. I guess that's a procedural meeting. I'm no lawyer. The PSB was crabby. I can use any word that fits the situation. (I'm a blogger, by golly.) Yeah, crabby is the word I will use. The PSB asked if Vermont Yankee was trying to look into their hearts to find their intentions, whether VY planned to sue again, etc. The crowd (mostly plant opponents) had plenty of occasions to smile at each other as PSB gave Entergy a hard time and asked sarcastic questions. I don't think that judicial boards should be sarcastic. Maybe people can't help being crabby, maybe they spilled their coffee at breakfast, but they don't have to be sarcastic. In my opinion, this board was very unprofessional in its conduct today. As I said, I'm a blogger and I have opinions. Listen to this VPR report to hear a PSB member assert that the "buried pipes" are the "gorilla on the couch." Really? That's the PSB's big issue? On the other hand, the VPR report ends with these encouraging words: Lawyers for Yankee and Entergy made clear that they're willing to go back to federal court if they conclude the state is trying to block the plant's continued operation. The Attorney General (AG) and the Department of Public Service (DPS) filed a brief yesterday. They said the PSB should not attempt to shut down VY while the court appeals are on-going. The PSB was crabby about their action, too. The PSB chairman made a point of saying that the PSB is a quasi-judicial body and doesn't have to do what the AG and DPS wants them to do. That statement would have come across better (they are a quasi-judicial body, after all) if they hadn't been so out-of-control sarcastic the rest of the time. People were filing briefs yesterday and I can't find the briefs on the PSB website yet. More about this when I know more and have some of the most recent briefs. In my most recent post, I urged people to look at the questions the Public Service Board (PSB) has asked Vermont Yankee, and make comments to the Board. In today's post, I show that the Public Service Board and the Department of Public Service have not protected consumers about other utility issues. This post was published first in True North Reports, and is updated here. When we write the PSB about Vermont Yankee, it is worth knowing some related history. Question: Are Vermont consumers being protected by the Public Service Board (PSB) and the Department of Public Service (DSP)? Green Mountain Power (owned by Gaz Metro) plans to merge with Central Vermont Public Service. If this merger is approved, Gaz Metro, a Canadian gas pipeline company will own or control most of the energy infrastructure in Vermont. They will own the two electric distribution companies and the gas distribution company (Vermont Gas Systems). They will also (probably) control the two large transmission companies, TRANSCO and VELCO. Vermont has two agencies that regulate utilities and protect consumers. Vermont’s Public Service Board (PSB) oversees utility actions and sets rates. The Department of Public Service (DPS) acts as the consumer advocate in cases before the PSB. If these two agencies do their job, Vermont citizens should feel comfortable, no matter who owns the utilities. Unfortunately, PSB and DPS are not doing their job to protect ordinary citizens and ratepayers. DPS is charged with protecting consumers, and many people are concerned with Shumlin’s appointment of Liz Miller as Commissioner of the DPS. Ms. Miller’s husband is managing partner of the law firm that represents Green Mountain Power, a conflict of interest situation that puts her actions as Commissioner in doubt. Senator Vince Illuzzi was particularly concerned that Miller would not be able to do an appropriate job of supervising the merger. A major issue is preventing Green Mountain Power having monopoly control of the transmission companies. Such control by one massive company could hurt all smaller utilities. Illuzzi filed interventions at both the federal and state levels, asking for an independent counsel to supervise the merger. Many small Vermont utilities joined his interventions. In response, the state appointed Michael Dworkin to study the matter. Dworkin made some recommendations on managing the transmission companies. Meanwhile, Ms. Miller said that the governor expected DPS to “kick the tires” on the merger deal. However, even the appearance of conflict of interest can make DPS actions look biased. No matter how fair Miller tries to be, and how many tires she kicks, she is a Commissioner whose husband’s law firm represents one of the biggest players in the merger. Dworkin only studied one aspect of the merger case: the transmission companies. There are other issues about companies that Gaz Metro owns or will own, and these issues directly affect consumers. Gaz Metro (owner of Green Mountain Power) had another docket before the PSB recently. Gaz Metro plans to expand its Vermont Gas Supply pipeline from Burlington to Rutland. The docket before the PSB included the question: whose money will be used for this expansion? Surprisingly, PSB has allowed the pipeline company to raise rates on existing customers in order to extend the pipeline from Burlington to Rutland. Not everyone of the PSB was in favor of raising the rates to consumers before the pipeline is built. Board member John Burke said that taxing Vermont ratepayers before they get any benefit was "unfair and improper.” Burke pointed out that Gaz Metro has hundreds of millions of dollars available for investment. He was overruled by the others on the board. Existing customers will pay for the new pipeline, even though these customers are already served by a pipeline. Existing customers will see higher gas rates, but will have no personal benefit from the pipeline expansion. The benefit goes to Gaz Metro, which will be able to build a longer pipeline without spending its own money. Update: Gaz Metro just negotiated a $600 million dollar line of credit agreement. They have plenty of money to build the pipeline without being financed by Vermont ratepayers. DPS, the designated protector of the consumer, did not take a stand on this case before the PSB. There are other situations in which the ratepayers are not being protected. Since DPS did not step in to protect consumers, AARP is intervening about electric rates in the proposed GMP-CVPS merger. To understand the AARP intervention, we have to follow some old money. Years ago, the PSB granted Central Vermont Public Service a rate increase, but the PSB stipulated they had to give that money back to the shareholders and rate-payers if their company was purchased. Half the rate increase money was to return to the shareholders, and half to the ratepayers. Since Central Vermont Public Service (CVPS) is now expecting to be purchased by Green Mountain Power, CVPS is obligated to give the money back to these two groups. CVPS plans to give immediate per-share payments of $10 to their shareholders (share-holders half) while paying back the rate-payers by lowered rates due to the supposed $114 million savings from the merger over a 10 year period (rate-payers half). Paying back the rate-payers through merger-caused savings is not going to be real money, not like a $10 bill in the shareholder’s pocket. PSB recently gave CVPS a rate increase of 4.8%, or approximately $17 million per year. This new higher rate will more than offset the $11 million dollar per year “savings due to the merger” that CVPS expects to pass on to customers. AARP is intervening in the merger docket to protect low-income seniors (and everyone else). The DPS has not intervened. DPS has not intervened to urge the PSB to protect the ratepayers in the gas pipeline or CVPS returning money they are obligated to return to ratepayers. Why not? an article in Vermont Digger shows DPS intervened to make the merger look better (without changing the terms). an op-ed yesterday from the AARP asking Gaz Metro/GMP to pay its debts. Conflict of interest is impossible to prove. If the Commissioner were not married to a lawyer whose firm represents Green Mountain Power, the DPS might well have taken the same stands. DPS might have approved of pipeline financing by existing customers. They might have been fine with CVPS plans to return money to shareholders with a check and return money to ratepayers through questionable future savings. No one can say that DPS acted this way because of this, or because of that. However, once again, we are back to the reasons that governments and judges attempt to avoid even the appearance of conflict of interest. With conflict of interest in the background, all decisions the government makes have the possible taint of bias. Governor Shumlin is an astute politician, and he should take notice of these concerns. For any rate case involving a current or potential subsidiary of Gaz Metro, owner of Green Mountain Power, Governor Shumlin should appoint an independent counsel as consumer watchdog. He should ask Ms. Miller to step aside for that case, since her husband is an executive in a law firm representing Green Mountain Power. The independent counsel should do some serious watching over consumer pocketbooks! If he does not take this type of action, Shumlin is just handing ammunition to his opponents. Earlier articles in this blog have described concerns with this merger. The probable monopoly ownership was covered in Who Owns the Infrastructure. Some conflict of interest concerns were covered in Governor Shumlin and GMP. This article focuses on the probable effect of these mergers on consumers. At this point, Vermont Yankee has asked the Public Service Board for a Certificate of Public Good. As I wrote in an earlier post, the Board is contemplating a pocket-veto of Vermont Yankee (gosh, we didn't rule by March 21, too bad!). Or possibly, forbidding Vermont Yankee to store more fuel, which would also cause the plant to shut down. You can read the Board's questions to Vermont Yankee at my web site, or within the PSB docket as above. Send a form to them today. I have sent two, and you can use these as a guide for your own letters, if you choose. Let them hear from Vermont Yankee supporters! It is best to keep your comments short and to the point. If you have several points to make, send several comments. As a citizen of Vermont, I urge you to take the high road and NOT attempt to pocket-veto Vermont Yankee's operations. Please obey your own laws, particularly the one that says "3 V.S.A. § 814 ....an existing license does not expire while a timely and sufficient application for renewal is pending relate to these explicit commitments and orders"
Treat the Entergy docket according to the same laws you use for other dockets: a certificate is still good until a new ruling takes place. It appears that you may be contemplating attempting to limit Vermont Yankee's operations by limiting spent fuel storage at the plant. You claim that "it appears that this (spent fuel) provision has not been pre-empted by the district court." I urge you to read the entire ruling by the judge, rather than interpret it line-by-line for your own purposes. The major thrust of the ruling is that a state cannot regulate radiological safety. There is no reason to regulate spent fuel storage EXCEPT for concerns with radiological safety. 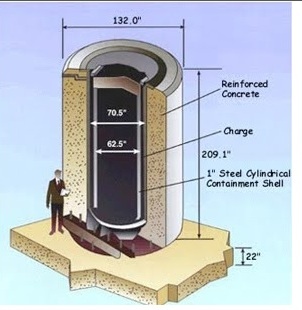 Without radiological concerns, a spent fuel cask can be described as a cylinder of concrete containing ceramic pellets. Don't regulate on radiological safety. You will be rather quickly overruled by higher courts, and you will waste the taxpayers money. Send a copy of your comment to this blog to be posted in the comment area. Then others can be inspired, also! The 94th Carnival of Nuclear Energy Bloggers is up at NEI Nuclear Notes. David Bradish has put together a great Carnival. Look, I'm not just saying that because the Carnival includes a picture of me and Howard at the October Rally. I would have said it is a great Carnival, even without the picture! Because it is. Gail Marcus of Nuke Power Talk discusses the importance of funding for nuclear education. I put the Vermont Yankee issues in perspective at ANS Nuclear Notes, and announce the March 17 rally in support of Vermont Yankee, taking place near the plant. At Atomic Power Review, Will Davis takes on the "Palisades Embrittlement" claims. His two-part post has real facts, as opposed to the unreal facts (a displaced atom in the crystal structure is a "microscopic hole"?) in the media. At Nuclear Green, guest blogger NNadir describes the natural Oklo reactors. These were natural (not man-made) reactors that ran in Africa, moderated by water, quite a long time ago. Billions of years ago, actually. In 2 billion years, most of the fission products at Oklo migrated less than half the length of a football field. It's always nice when nature does the testing for us, isn't it? The Carnival includes a drawing of the Oklo reactors. There's a lot on new technologies, including new technologies from the past. At the Energy from Thorium blog, Kirk Sorenson describes world-wide efforts to get thorium reactors in wider use. Do you know there's a parliamentary group in UK that is considering thorium? Rod Adams describes one way to stop needing so much oil...use nuclear power to convert coal to a liquid fuel. It's been done before, but we can do it better now (new technology from the past!) Steve Skutnik at Neutron Economy describes how small modular reactors can help...Iowa. Yes, Iowa. Iowa is heavily dependent on coal and very rural. SMRs could well be the answer (new technology from the past again!) At ANS Nuclear Cafe, Wesley Deason launches a series of posts on nuclear power for space exploration. At Next Big Future, Brian Wang describes the latest on GE's proposed laser uranium enrichment plant. The Carnival includes world-wide nuclear news. Dan Yurman at ANS Nuclear Cafe follows the scandal in India, where Western NGOs, given money to help poor people in India, used the money to provide liquor and food to people who protest near the nuclear facilities. At Yurman's own blog, Idaho Samizdat, he reviews North Korea suspending its weapons program, and news from Iran, U K and South Africa. At Brave New Climate, Barry Brook asks how close did the Fukushima get to a really widespread nuclear disaster? Answer: not close at all. Meanwhile, at Next Big Future, Brian Wang does levelized cost comparison of nuclear, solar, and coal. Nuclear and solar costs depend on future costs of construction and financing. The cost of coal-fired power is controlled by commodity prices. Of course. NEI Nuclear notes itself covered quite a few great topics, including the proposed Clean Energy Standard, the PBS Fukushima documentary, and tornadoes in the South. Come to the Carnival for great reading! Oh yes, and if you are free on March 17, think about coming to the pro-Vermont Yankee rally! After Judge Murtha's ruling on Vermont Yankee, the State decided to appeal to the Circuit Court. Entergy did not appeal the ruling, but instead prepared to go before the Public Service Board (PSB) for a Certificate of Public Good. Originally, Entergy had wanted the judge to rule that the PSB docket was tainted and Entergy did not have to go to the PSB for the Certificate. However, the judge did not rule that way. Entergy did not appeal the judge's ruling, which was very favorable to Entergy overall. Perhaps Entergy should have appealed immediately after the ruling, instead of deciding to go before the PSB. Last week, Entergy appealed to Judge Murtha and to the PSB. 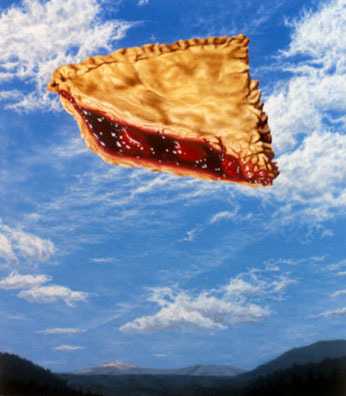 My article published at True North Reports covers the sequence of events. I encourage you to read The Many Appeals of Vermont Yankee at True North Reports. There is a hearing on the Entergy docket before the PSB this Friday, March 9. It is described as a "status hearing" on the PSB website. In advance of the hearing, the PSB sent Entergy a list of questions, listed as "memorandum re request for comments on procedural issues" on Feb 22 on the PSB website. You can read the questions here. My first impression when reading the PSB questions was simple: Did one of the anti-nuclear groups write this memo? The questions didn't look like inquiries from an impartial board. Here are the two main questions. Used Fuel: The PSB asks whether Vermont Yankee plans to store more used fuel from continued operation, since after all, used fuel storage is not in the original Memorandum of Understanding, and this subject was not (in the PSB's opinion) pre-empted from state oversight by the ruling. Of course, the judge was very clear that the state cannot regulate radiological safety, but the PSB doesn't seem to quite "get" that. Pocket Veto: The state law governing PSB activity says that an existing Certificate must be honored until the PSB rules on a new one. However, the PSB asked whether the plant thinks it can operate after March 21, 2012 without a new Certificate. In other words, while state law says otherwise, the PSB seems to claim that the Memorandum of Understanding for VY gives the PSB a pocket veto of the plant. It's hard to tell whether the PSB is "asking a question" or "making a threat." I bet on threat, and the threat is: if we don't rule in time, you have to shut down, unlike the rules for every other docket before us. Note: I am not directly linking to the questions on the PSB website because it is hacked or something. That document simply won't open for me! Luckily, I had downloaded the questions from the PSB site a few days ago, when the document DID open, and I put it on my own website for your reading pleasure. I have some key documents, such as the Memorandum of Understanding, the judge's ruling, and the PSB questions on a page called YesVY downloads. This is a very active controversy, and I will have to update the situation next week. Meanwhile, if you go to the PSB website, you can see Entergy's requests and all the Intervenor comments. More important, you can file a public comment on this high-handed set of question through a link on the PSB website. Comments are open until March 7, 2012. Thanks to YOU, we have had two very successful Rallies. Supporters have said they want to have another rally, and we have decided to hold one on March 17 (St. Patrick's Day). We have chosen March 17th because it is a Saturday, and also near the March 21 date when the plant's original license was due to end. The license is not ending, and we want to be at Vermont Yankee to celebrate. We are happy that Vermont Yankee will continue to operate! We are planning for the rally at the plant gate from 5:00-6:30 p.m. on Saturday March 17. The 5 to 6:30 rally is during shift change. 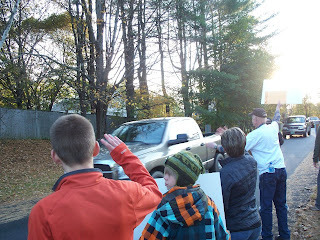 We will hold signs, wave and show support for the people of Vermont Yankee. It will be Daylight Savings time, so we won't be finishing in the dark. 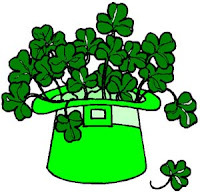 Saturday March 17 is St Patrick's Day, so we will work this into our plans. We will have some signs, but please feel free to think about making your own signs, For example: "Celebrating GREEN power on St. Patrick's Day!" Important UPDATE: We will be holding the rally between 5 and 6:30, and we will not be using the Governor Hunt House for discussion earlier in the day. Sorry for the change in plans! The opponents are planning marches and activities around March 21, but have nothing scheduled on the 17th. We want to be on our own again. This is especially important because the opponents are talking about civil disobedience, non-violence training, etc. As always, we want this rally to be non-confrontational. Also, we hope our rally will not be too much trouble for the plant security staff. We have their permission to hold the rally. Howard Shaffer has the lead for planning. If you can let him know you are coming to the rally, that would be great. The second Rally was held on October 23, 2011 at the plant gate. It was held over shift change during the refueling outage. The purpose was to show support to the plant staff and contract outage crafts. The rally was very successful, and much appreciated by both plant staff and management. Media coverage was good. The photographs on this page are from this rally. You can read a blog post about the October rally at ANS Nuclear Cafe.